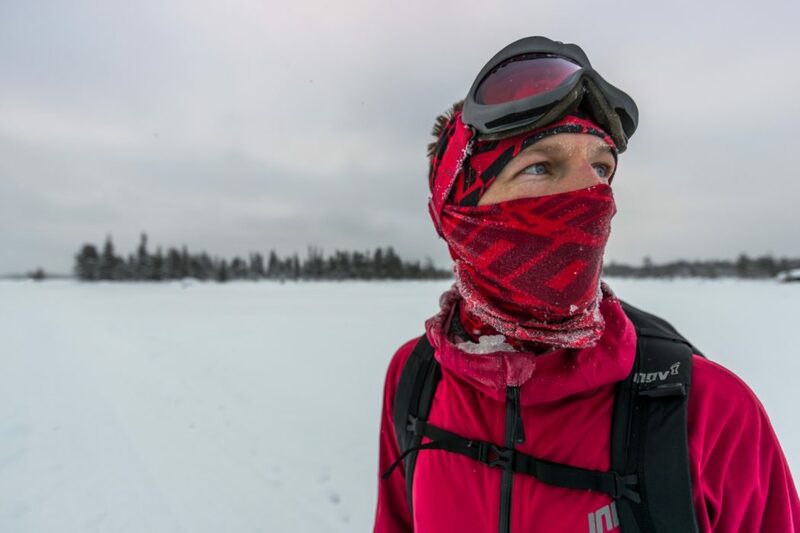 Damian Hall has won the Ice Ultra in Sweden - here we ask him about his race preparation, the dizzy heights of appearing on local radio and how he avoided penile frostbite. Yes, really. 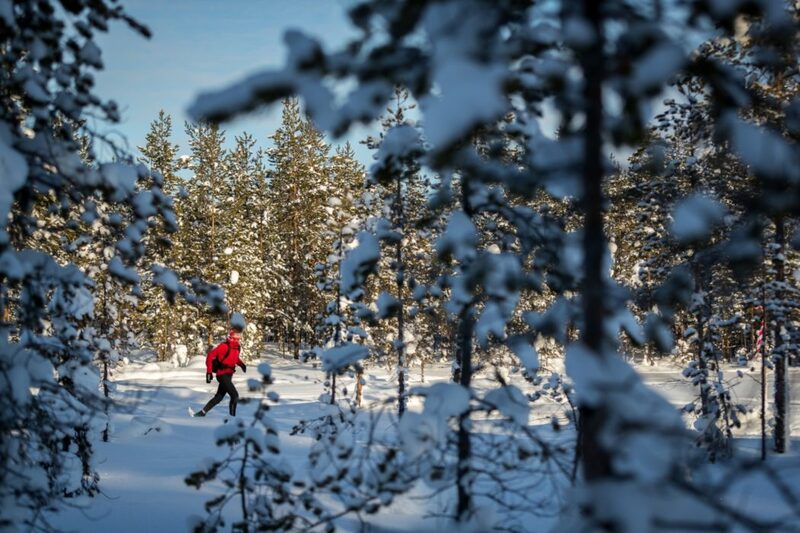 Damian, firstly, congratulations on your win at the Ice Ultra in Sweden a few weeks ago. 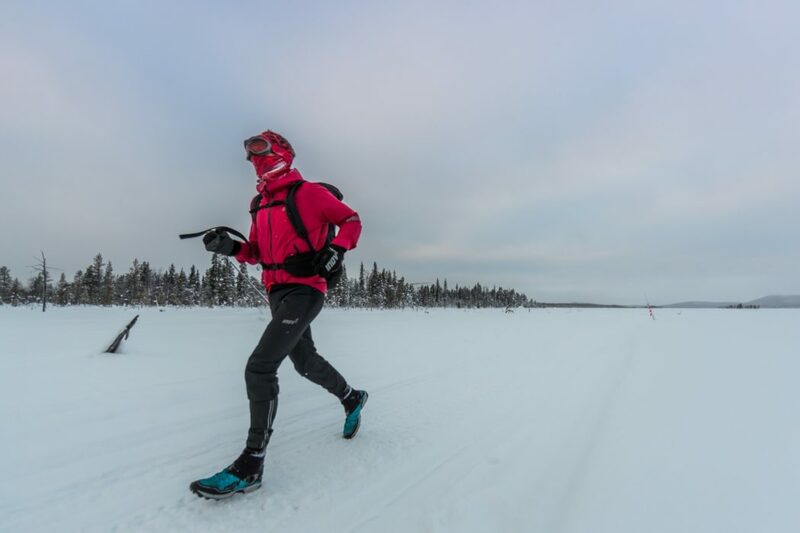 Out of all the races out there, why did you decide to do the Ice Ultra? Thank you very kindly. Firstly, it appealed as a travel experience. I've been lucky to explore much of the world but had never visited Scandinavia, which always sounds so ruddy perfect. Going over the Arctic Circle made it an adventure, too. Thirdly, there's the athletic challenge. I have admittedly done more demanding races, but I wanted to do well there, and a multi-stage race is a great way to boost fitness early in the year. 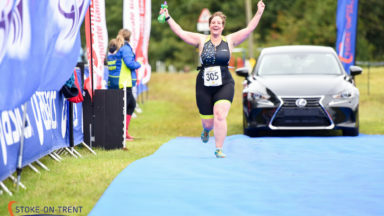 What does it feel like to win a race? I can't think of any down sides. 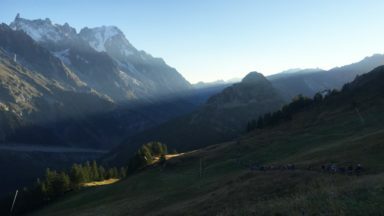 It was a small field of runners, so I've had what to me are more significant results elsewhere in more competitive races, such as UTMB and Lavaredo last year, where I didn't win or even come close but was competing with full-time ultra runners. But regardless of the competitiveness of the race, winning seems to get more attention. It's been nuts. I even went on BBC Wiltshire Radio. 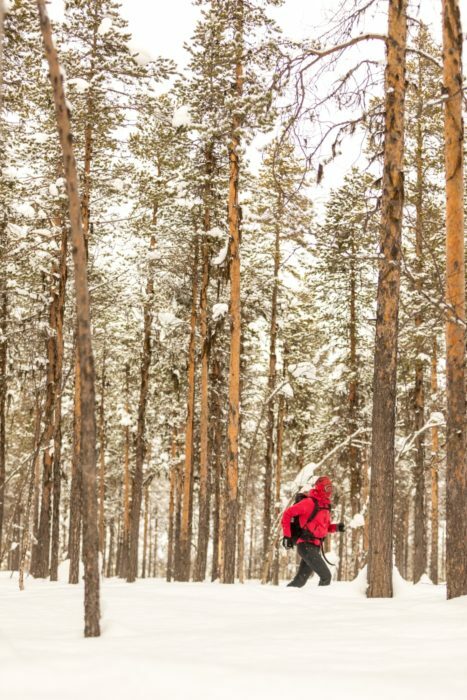 Have you done many ‘extreme’ conditions races before? I guess you'd count the Marathon des Sables as extreme, though it's not nearly as tough as it likes to think it is. Costa Rica's Coastal Challenge is pretty steamy too. And the Spine Race, twice. Given the choice, I definitely prefer the cold. When you're cold, it's logical to run, to warm up/stay alive. When you're hot, your body is reluctant to run, so it's less pleasant. But more than the environment, or even the distance, what makes races tough is more to do with whether they're a multi-stage or single-stage format. The Spine Race is in England, but it's easily the toughest of those races, because it's continuous and you don't ever rest properly. That can mess you up a bit. "It's been nuts. I even went on BBC Wiltshire Radio." Did you have any fears of the unknown as you headed into this event? I was certainly wary of the cold, respectful I guess. It got down to –36˚C and I hadn't been any lower than about -15˚C before. Eight people dropped out of the race on the first day, mostly due to frostbite, so that was a an eye-opener. On that coldest morning my food froze, my drink froze, my eyelashes froze. I think I ran my fastest, then, just to try and warm up. It was incredibly beautiful though. The woods were like Narnia, smothered in snow. Frozen lakes. White mountains. The northern lights (or so I'm told – I slept through them). What were your most indispensable pieces of kit? 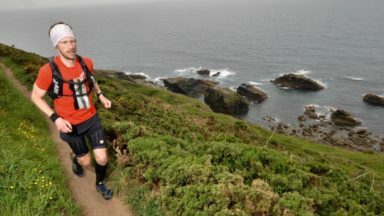 I'm very lucky to be working with inov-8 and they supplied me with some excellent kit as ever. 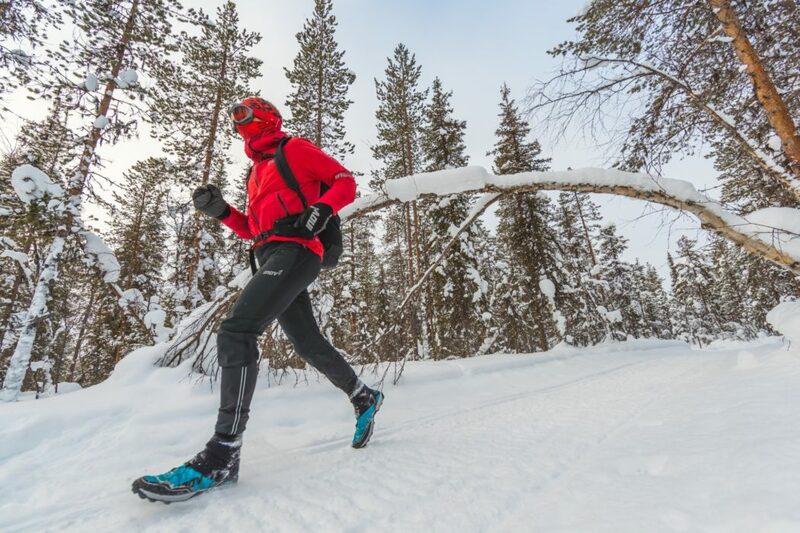 Some prototype tights kept the elements out (penile frostbite was a genuine concern for male runners, said race medics), neoprene socks, gloves and Raceshell waterproof all performed excellently. One of my favourite bits of inov-8 kit at the moment though is the Long Sleeve Zipped Merino Mid-Layer, which has extra protection for head and hands, which came in very, er, handy. My mammoth Yeti Fusion Dry 1700+ sleeping bag kept me sensationally warm and snug, too (we were mostly in huts, but one night was in a teepee). 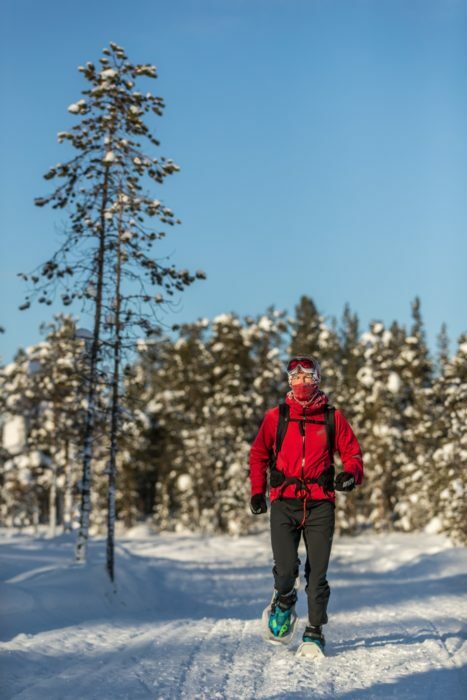 Snowshoes are mandatory and TSL's Symbioz Racing model was excellent; the lightest there is, to carry, and you hardly notice them when running in them. 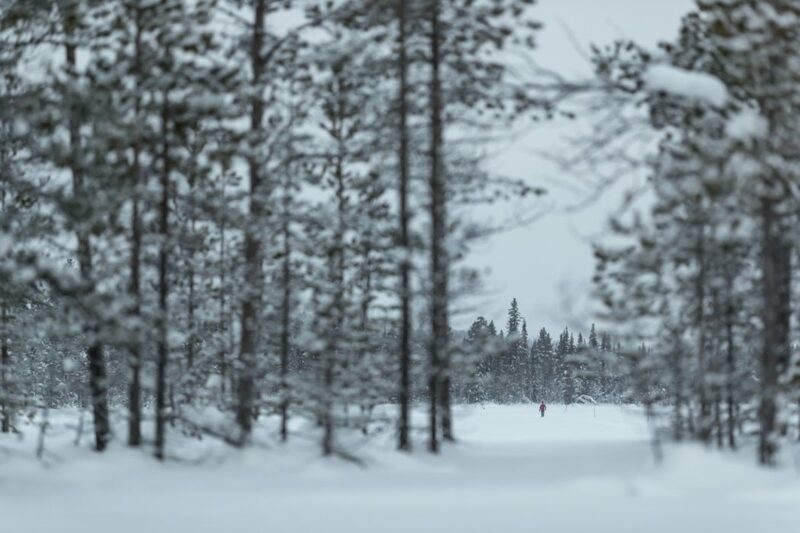 Did you need to do lots of training in freezing conditions in order to prepare for the race? A few trips to the unexpectedly wintery Brecon Beacons were great for fitness and kit tests, but other than generally getting fit, and getting used to carrying a pack, not much specificity really. I find cold much easier to acclimatise to than heat. 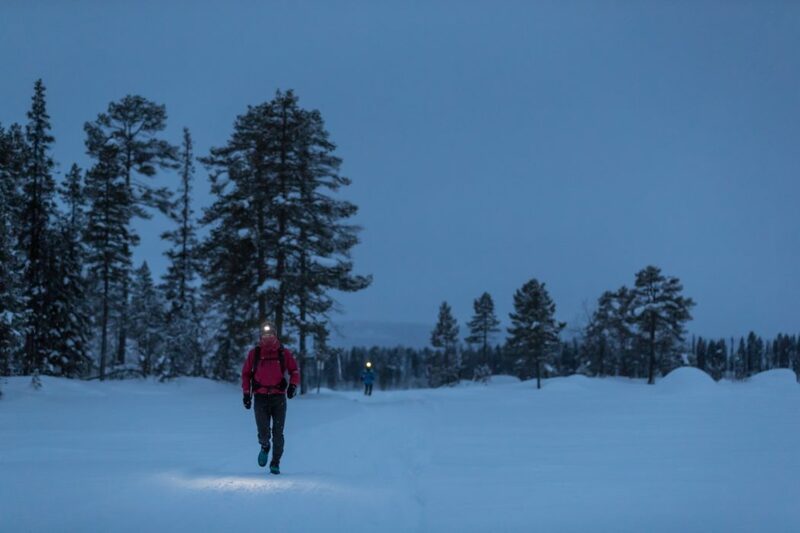 Is the Ice Ultra achievable for an ‘average’ ultra runner, the kind of person who might have run Lakeland 100/50, Highland Fling or one of the UTMB races, for example? Definitely. 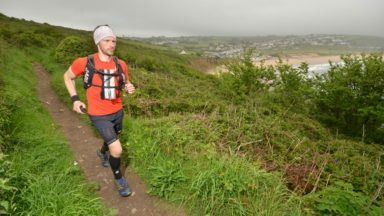 The trick, as with most ultras, is to pace it sensibly, fuel well, look after yourself and with a bit of mental fortitude most people can complete these challenges. The better you train, the less reliant you are on the mental side and the easier it all feels. It helps if you sort of enjoy a bit of suffering, too. What other races or events do you have planned this year? 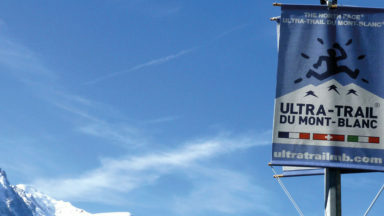 Though I enjoy more unique events like the Ice Ultra, my real passion at the moment is seeing how close I can get to the world's elite ultra-trail runners (who are often full-time, with sub-2:20 marathons, and who train regularly in big mountains) at Ultra-Trail World Tour races. This year for me that will be Madeira Island Ultra Trail this month, Mozart 100 in June and UTMB for a fourth consecutive time. That race has become a bit of a problem for me. You have done UTMB every year for the past few years, consistently moving up the rankings each time. How are you feeling about the race this year, and why do you keep going back? Quite simply, every year I come away with great feelings from the event and can't imagine it happened without me. But this year, definitely, will be my last for a bit. There are other races I want to do. At UTMB, I love the course – all those big hurty but glorious mountains, the crowds – huge and generous – and the competition – the best in the world are there. 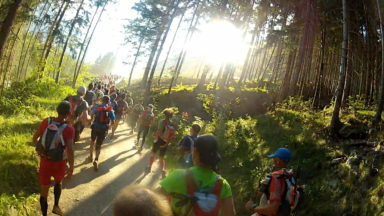 It's the biggest trail race there is. You seem to do races all over the place - are you a full time runner or do you have another job? Haha. I'd love to be full-time! 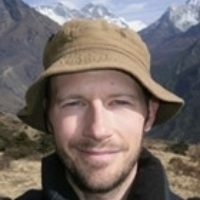 I'm primarily an outdoor journalist, so many of these challenges and races are work for me, in that they become stories for magazines and so on. But increasingly I'm trying to see myself as an athlete first and a journalist second. I regularly turn away trips that might earn me money but would hamper performances at my A races. I only discovered this amazing sport five years ago and I'm 42 already. There's no time to waste! 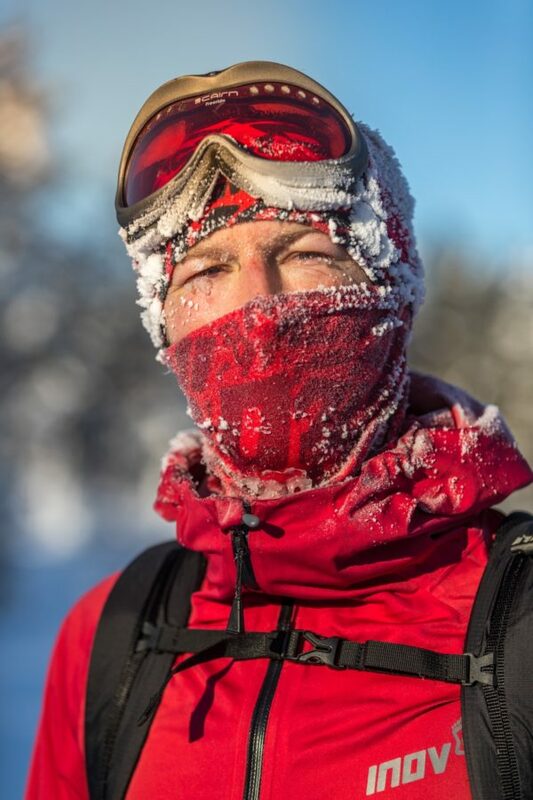 Damian Hall is a Cicerone author, outdoor journalist and trail-ultramarathon runner. 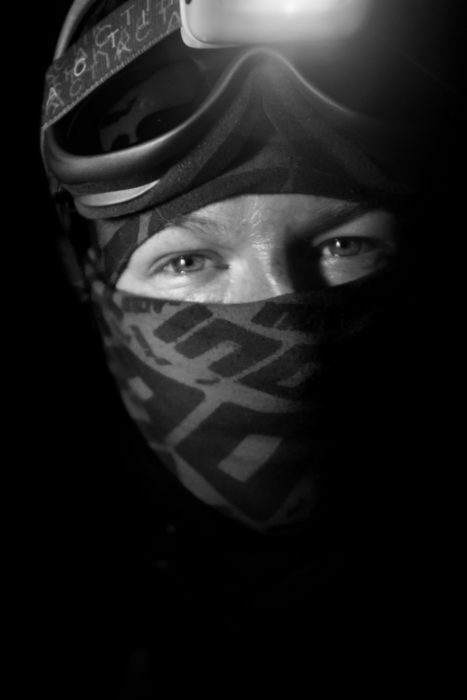 You can follow him on Instagram (ultra_damo), Twitter (@damo_hall), Strava and Facebook, and visit his website: www.damianhall.info. Watch a taster video of the Ice Ultra below - no risk of frostbite here.